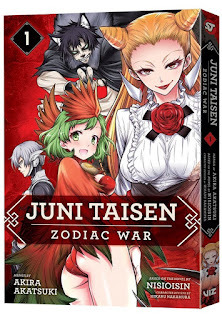 San Francisco, CA – VIZ Media, LLC (VIZ Media), a premier company in the fields of publishing, animation distribution, and global entertainment licensing, announces the launch of the grisly battle royale manga series, JUNI TAISEN: ZODIAC WAR, on October 2nd, 2018. In 2002, author NISIOISIN’s novel, The Beheading Cycle, won the 23rd Mephisto Prize and became his debut publication. His other notable works include the Zaregoto series, the Monogatari series, the Densetsu series, and the Bōkyaku Tantei series. NISIOISIN also wrote the manga tie-in novel, Death Note: Another Note. As a manga writer, he has appeared in the Weekly Shonen Jump magazine with his series Medaka Box and his Ōgiri series of one-shot manga stories have been featured in the pages of Weekly Shonen Jump, Jump Square, Weekly Young Jump, and Bessatsu Margaret. Born 1977, Akira Akatsuki made his manga debut in 2003 with Z-XL Dai in Akamaru Jump. He later published a number of one shots, such as Angel Agent, Contractor M&Y and Little Brave Pukateriosu, in Jump the Revolution!, Weekly Shonen Jump and Akamaru Jump, respectively. His most notable work and first major collaboration with NISIOISIN, Medaka Box, premiered in Weekly Shonen Jump in 2009 and concluded in 2013. 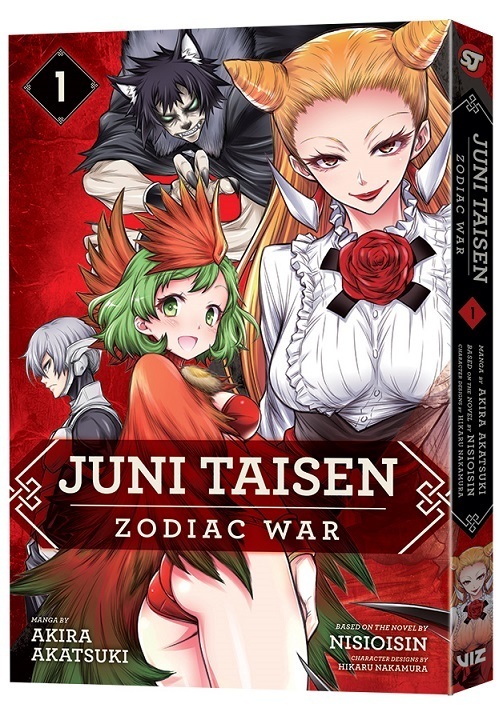 He published two more one shots, Toshokan Kyuuseishu Kurabu (Library Savior Club) and Musume Iri-Hako (The Girl in the Box), the latter of which was another collaboration with Nisioisin, before starting work on Juni Taisen: Zodiac War in 2017 on Jump+.